By releasing the essential oils and other special substances, these teas provide a unique way to appreciate the benefits of the herbs. 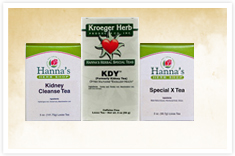 These wonderful herbal teas are formulated for specific as well as general conditions. These all natural herbal formulas are hand sifted and packed loose.